Now that we’ve run One Lap of America, the next motorsport event on our bucket list is the Targa Newfoundland. Essentially a series of stage races on closed public roads in Newfoundland, Canada, the race is renown for its challenging drives, spectacular scenery and warm hospitality. In fact, the only thing preventing us from running it in 2013 is our appalling lack of budget. Until we hit the lottery, you’ll have to make do with this video of pro-drifter turned rally driver Samuel Hubinette, running the Targa Newfoundland with co-driver Jen Horsey in a Fiat 500 Abarth. According to Brandt Rosenbusch, Abarth Racing Team manager, the 500 Abarth entered was prepped for competition by gutting the interior, adding a roll cage, bolting in racing seats and harnesses, then adding a coilover suspension. While the car likely wasn’t the fastest in its category, we’re sure it was competitive. The basic race is five days and covers some 2,200 kilometers (1,367 miles), but just getting to Newfoundland takes a serious amount of driving (or flying, if you’ve got the budget to have your race car hauled there). It’s run regardless of weather, which happened to include a hurricane during this year’s race; in other words, competitors really do need to be prepared for any eventuality. 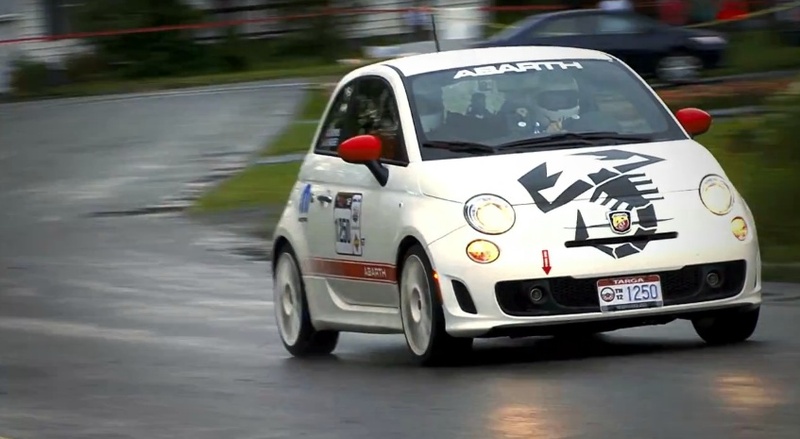 It looks like Fiat is producing several videos from its experience at the 2012 Targa Newfoundland, so we’ll bring you the others as soon as Fiat puts them up.